You’ll find that in today’s market it is possible to buy a Gulfstream III for under three million. Buying an older airplane sounds really attractive, until you learn that your first major inspection is going to cost you $500,000 to $1 million; whereas a newer Gulfstream IV will have a purchase price of seven million but your first major inspection might only cost $250,000. (These numbers are estimates only. They can and will vary). As a rule, older aircraft have more expensive inspection requirements. Newer aircraft cost more initially in purchase price but are less expensive to keep and to fly. One of our jobs is to help you balance current value with future burden. It can make sense to buy an older aircraft with higher operating costs. You have to do the math, and really project into the future to determine what inspections may become a liability and how your utilization of the airplane overlaps those milestone inspections. Dallas Jet International’s leadership and technical consulting staff are all highly trained and experienced in mitigating these risks for purchasers of older aircraft. Make no mistake, the older aircraft, if they are quality, can be some of the best deals in the global marketplace. If you are considering the purchase of an older pre-owned aircraft, it can be a great deal for you. Prices on older but quality pre-owned aircraft are at historic lows. However, don’t go it alone. 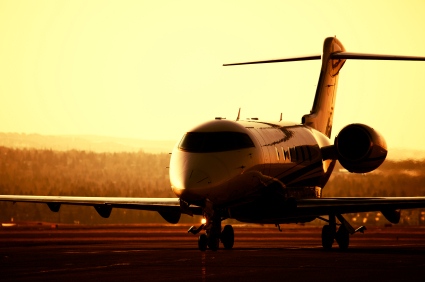 With representation from a firm like Dallas Jet International that possesses sound guidance, technical oversight, and negotiating experience, you will ensure that you are not making a multi-million dollar buying blunder. Most people are surprised when they hear me say that the airplane business often moves at lightning speed. In one of the worst down markets since the inception of business aviation, it would seem logical that everything moves with the speed of a tortoise. When you analyze the aggregate numbers of the current market and the rate and volume of transactions, it truly is moving slower than normal. Values are at record lows, with some markets continuing subtle descents. So, how can our current business environment be associated with speed? Speed will get you the very best airplanes. What we are seeing today is that most airplanes that are transacting are on the market for a very brief period of time, as compared to the airplanes that are not transacting. I’ve seen airplanes last as little as 2 days on the market, even in this environment. Quality always goes first. 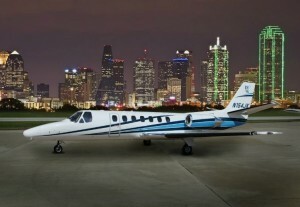 It is the broker’s job to get our clients first in line to this quality, “best deal” airplane. We do this by being nimble, quick, decisive, and proactive. Each day we study and research the various business aircraft markets, and educate our clients on the statistics of the markets as well as past and predicted trends. By providing that “market intelligence”, we give our clients the confidence they need to act swiftly when the right deal presents itself. Unannounced, aggressive price reduction. A seller makes the decision to aggressively reduce their price after watching their aircraft sit on the market for months with little to no interest. The reasons for the price reduction could be many, but the bottom line is that there is a sudden price reduction. The relationships that DJI has with all of the various brokerage firms who, like us, represent sellers, prove invaluable here. Guess who the seller’s broker is going to call before they announce the price reduction to the retail open market? They are going to call me and many of my peers first. Because of these relationships DJI will always have news of a price reduction before the open market hears about it. By capturing that information early, we can position our clients first in line to the deal. A transaction falls through, suddenly making a quality airplane available again. There is always a relatively high chance that an aircraft deal can fall through. Our motto is to never give up on a good deal. It’s not sold until it’s sold! DJI’s staff tracks pending deals in the various business aircraft markets. By doing this, we will know a deal is falling through before the open market. Again, this knowledge allows us to act quickly and swiftly to get our buying clients first in line to the best values. An airplane is being newly offered. If you wonder how a $10 or $20 million airplane can sit on the market for only 3 days, wonder no more. I can assure you that the buyer and the respective agent knew about that airplane well before it hit the market. Again, the market intelligence that we provide will get our clients first in line to the deal. A large number of the best value aircraft transactions are consummated before even being published on the open market. The only way to acquire this solid market intelligence and capitalize on the best value aircraft is to retain the professional services of a broker such as DJI, that conducts this level of research. Speed and market intelligence provide our buyers an unmatched competitive advantage over unrepresented buyers in this marketplace. The best deals are won with quickness and confidence, even in a Buyer’s market. As our readers may know, approximately 50% of DJI’s brokerage business is representing sellers. In a future article, I will write on the importance of speed and market intelligence in the aircraft selling process. 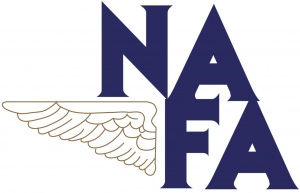 The consequences for sellers are significant if they do not have the proper information to act swiftly and confidently in the marketing and pricing of their aircraft. You are currently browsing the archives for the Shawn Dinning category.